Swimmers must be 48 inches tall to play on the water slide. The play structure is available upon request during open swim times. During water slide and play structure operation, the features will be turned off for 15 minutes every 45 minutes of operation. 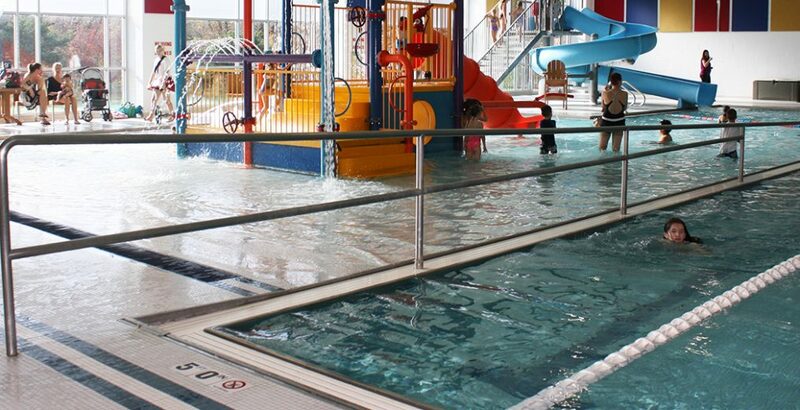 Only coast guard approved flotation devices are allowed in the pool and on the slide. The pool is kept at a comfortable 82 degrees. The hot tub is consistently at 105 degrees.